Speech impediments, while usually seen in young children during their developmental stages, can also be seen in young adults, according to the International Disability Center. Correcting a speech impediment can be difficult and often requires assistance from a licensed speech and language therapist. However, you can also perform exercises at home to help with your speech treatments. Speak to your medical doctor for more information on exercises and how they can help treat your condition. One common speech impediment seen in children and young adults is a lisp, specifically when reciting the letter "s". To help correct your lisp, begin an exercise by first holding a mirror in front of your face so you can observe the movement of your tongue during the exercise. Next, clench your teeth together with your tongue slightly touching the back of your teeth. In order to create the "s" sound, push air between your teeth and across your tongue. Practice this sound numerous times a day while watching your mouth in a mirror in order to later replicate this tongue movement. You can also use your cheek muscles to pull the sides of your mouth back to further compensate for this sound. If you have difficulty with correctly pronouncing the letter "r", possibly by making a sound like the letter "w" instead, you can perform the following exercise at home to help. While starting with a mirror in front of your face, clench your teeth together and literally make a growling sound. Force air through your throat and teeth to make this "r" sound. 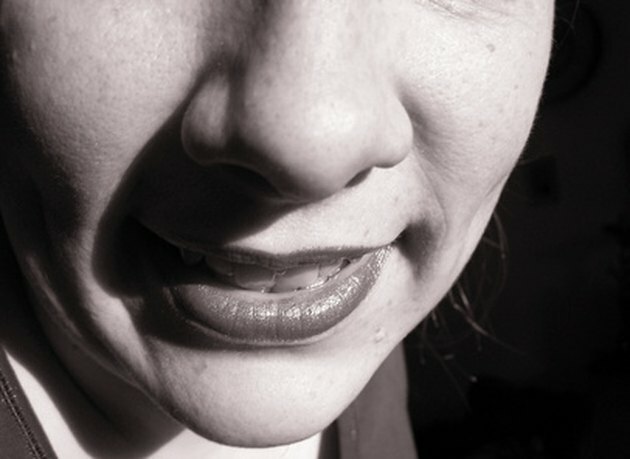 After a few attempts, try making the same sound with your mouth without clenching your teeth. Continue to practice this method until you are able to produce the correct pronunciation in full sentences. Another common sound that is incorrectly pronounced by those with a speech impediment is the letter "t". In order to practice this sound correctly, begin again by clenching your teeth together while looking at yourself in a mirror. Next, use your tongue to flick the top row of teeth while simultaneously pushing a small breath of air through your mouth. This motion will help you make the "t" sound. If you are having difficulty creating this sound, try placing a straw in your mouth and hold it in place with your tongue. This will place your tongue in the correct position.